As gamers, we often wonder what goes on behind the scenes with game developers. What hoops are jumped through? What hurdles are cleared? And where did that bit of quirk in the game come from, exactly? Well, Game Informer got a fun list of things that went on during the development of Marvel: Ultimate Alliance 2 that made it what it we get to play. * The final game has over 8000 lines of voiced dialogue. * Recordings of old computer parts being thrown down the stairs were used as sound effects for the physics impacts and explosions. * Marvel was consulted very closely on all character and plot decisions. In one case, a piece of concept art for the NPC Justice was re-done to match the hairstyle found in the comics. * An early bug with a "beam split" Fusion type caused the two characters to get stuck together, connected by a line of energy that damaged foes. This was the inspiration for the "clothesline" Fusion type. * Another notable bug was when all the robot minions in the 3rd level were replaced with full-size versions of the Yellowjacket boss. * Total number of individual animation files, including those for DLC: over 10,000. * "Heaviest" character animation set (largest size on disc) belonged to Storm.The average character “bone” count per model was 85, for an approximate total of 16660 bones. * The same motion capture performer portrayed Deadpool and Mr. Fantastic. * Every day at 2pm, a good portion of the dev team would congregate and do pushups. * Collectively, the MUA2 team has 131 years of martial arts experience. * Playable character heights ranged from about 5’6” at the smallest (Invisible Woman) to 8’0” at the largest (Hulk). We also had an entry in the character data for footprint size (yes, this actually gets used). Run around with Hulk and Iceman and check out the difference! * Over the course of production, team members made over 90,000 check-ins to the game. I don't know about you guys, but some of these made me laugh, and endeared me to the team a bit more - even after the Juggernaut incident. 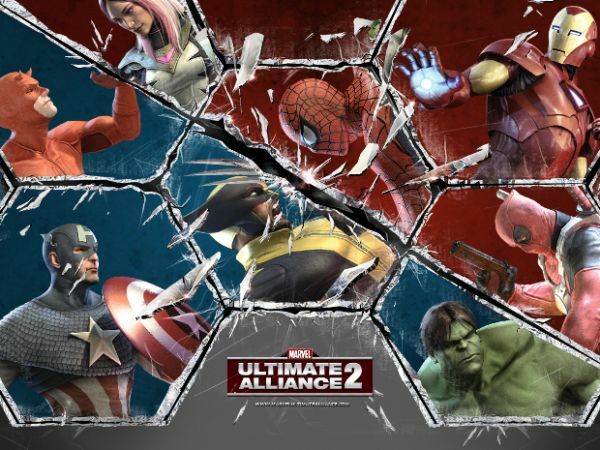 Marvel Ultimate Alliance 2 Co-Op "Completely Revamped"
Page created in 0.2485 seconds.